Ms. Mey Soon, a 75 year old inhabitant of Ban Wunsai, a small village in South Laos, remembers very well how quickly the sight in both her eyes had deteriorated within one year, so that she couldn't perform even the simplest tasks. She could no longer look after the grandchildren, which she had always loved to do. It made her very sad and the whole family was seriously concerned about her future. When she heard that she could be treated, she was overjoyed. She had every confidence in the good outcome of the surgery. How happy and relieved Mey was when, after the surgery, she could see her beloved ones clearly again! She just couldn't wait to help preparing meals again and take care of her grandchildren. 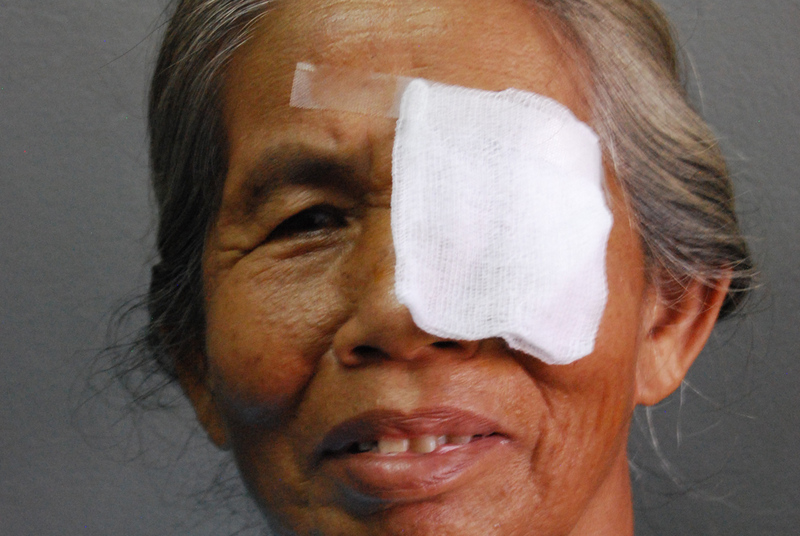 She expressed her gratitude to the dedicated and skilled Asian Eye Care team by making a deep wai.